Dana Glenn Smith, 9780692967645, 350pp. A Nightmare storm is brewing, and it comes from hell. Lucifer's cover-up is in place and the plan to remake America moves into full gear. War and unrest mean lots of money for those who back the right side. The Greedy and Powerful Big Money sides with the new Official version of America and are only too happy to help. Taking control of a major sector of the government, they are ruthless and eager to bring America to its darkest path. With the command of the hard-driving Colonel Schmidt willing to Wreak-Havoc, they will stop at nothing in their Brutal war to grind down their opposition.But Grade A military sniper Mac is deadly and the best of his unit. He is willing to put up a fight against his former commander. Nicknamed Death Incorporated, Mac is a trained killer, he's knows he's up against it: His only allies against a government hell-bent on destruction are a Courageous group of Patriots and their leader who is Defiant in his leadership to thwart the Bankrupt ideals of the Luciferian takeover.As the Apocalyptic terror unfolds the group is Outclassed and out maneuvered, they must look deeper to defeat the Beast, and a well-tested Jewish Prophet might just hold the answers they need. Taken out of the pages of America's past and her future comes this Christian Thriller that has every American in jeopardy, as a storm of darkness from hell concludes a takeover that began when this nation was founded. Dana G Smith is a freelance writer and has written Incognito, D Day for America; One Truth, One Hope, One Salvation; and Living Waters Psalms of the Watchman. He is also President of WIBR/WARN Radio Ministries. 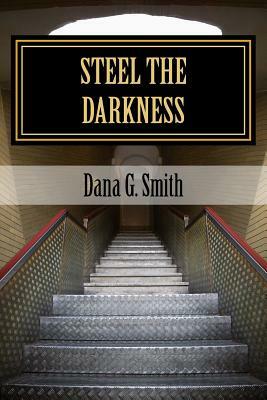 His professional writing website is www.DanaGlennSmith.com, ministry website is www.Warn-Usa.com. Dana has been a writer all his life. He has written over 10,000 articles for our websites and news in 17 years. In addition, Dana has a Radio talk show that targets audiences worldwide through their many social sites, websites, and specialty apps from Warn Radio. He has been in broadcasting for twenty years utilizing Satellite, Short wave, and the internet. He has interviewed a vast array of special guests and biblical experts. In this book I have taken the mystique out of the Nephilim, UFO, Alien, and other paranormal and gave it a face and individuality. I did this in the confines of an American setting, Christian values, and Satanic forces; making for a conflict between opposing sides.